What is the copyright license for this image? Please provide this by adding a copyright tag from this list. If you do not know what a "copyright license" is, or how to find out, ask for help on this image's talk page. Unless this information is added to this page, the image is at risk for deletion. 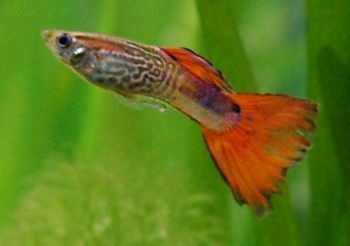 current 12:26, 21 May 2006 350 × 246 (11 KB) Hadesplague (talk | contribs) Male guppy. This page was last edited on 15 December 2008, at 00:54.